COLUMBIANA–A perfect game from Chase Franken led Columbiana to a 12-0 win in five innings over Wellsville on Thursday. Franken struck out ten batters on the day and had an RBI triple at the plate. Ryan Fahs went 3 for 3 at the plate for the Cluppers. Joe Bable had a double and a single. Zach Fahs added a double and Wayne Davis chipped in a single. Columbiana is now 5-10 and will host United on Monday. Wellsville is 3-7 and travel to the Nextl Level Sports Complex to face Heartland Christian today. 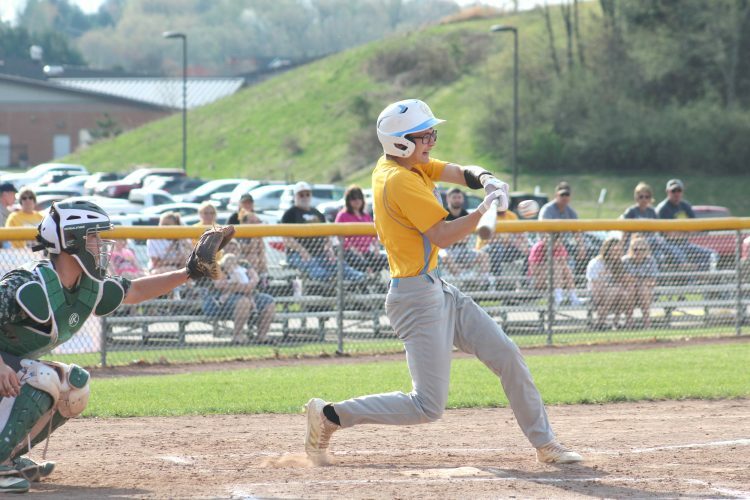 LEETONIA–The Lisbon baseball team clobbered Leetonia 19-0 Thursday. Cam Summers went 3-for-5 with a homer, two singles and five RBIs to lead the Blue Devils. Logan Bell contributed to the onslaught with a homer, double, single and three RBIs. Seth Donaldson added four singles and an RBI. Mason Rance had a double, two singles and two RBIs. Bell and Josh Entrikin combined for a one-hit shutout. LI–Logan Bell, wp, (4 1/3 IP, 7K, 0BB), Josh Entrikin (2/3 IP, 0K, 0BB).